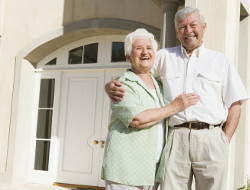 Reverse Mortgage was created to give our retiring generation a way to keep their homes and manage the ever increasing costs of life in America after working long and hard over the years. It is an option that could be just right for you. All applicants are required to participate in HUD approved counseling to ensure all their questions and concerns are addressed. Working with a reputable reverse mortgage specialist will also be critical in the process, as this person should be your advocate – even telling you when a reverse mortgage may be wrong for you. Fact: The title of your home stays in your hands. Fact: Your equity is dependent upon the housing market, which is always changing.